Australian Communications and Media Authority staff have spent December and January engaged in “environmental scanning activities targeting specific aspects of the TCP Code” with an emphasis on complaint handling . “Environmental scanning activities” includes reviewing telco websites to see if there’s a published complaint handling document that complies with the Telecommunications Consumer Protections Code. If a telco hasn’t published one, they’re inviting an ACMA ‘mini-audit’. is readily available for download from the telco’s website. First, we need to note that some of ACMA’s language around this topic is out of kilter with the Code itself. The Authority sometimes refers to a requirement under clause 8.1.1(b)(v) for a published “complaint handling policy”or “CHP”. There’s no such requirement. In fact, the expression “complaint handling policy” is never used in the TCP Code. The Code talks about “complaint handling process”. Policy and process are often different things, and the TCP Code certainly uses “policy” (consistently) in some situations and “process” (consistently) in others. But even then, the Code distinguishes between the document/s that constitute the process and a summary form of it. It’s the summary form that’s required to be readily accessible in soft copy on the website. This is not a technical point. The summary is expressly required to be concise and easy to understand. That makes sense, because it is obviously intended to serve as a public information document, not just an internal company document. In that context, the requirements for conciseness and simplicity make complete sense. A telco’s full complaint handling documentation may be, and is very likely to be, more complex than the public-facing summary form. We don’t think that a telco can comply with clause 8.1.1(b)(v) of the TCP Code by simply linking to the whole of its Complaint Handling Process (unless the process is sufficiently concise and simple to double up as the summary form). the TCP Code requirement is for a summary form of the complaint handling process. No doubt that is exactly what ACMA is in fact looking for. What happens if ACMA doesn’t find the complaint handling process in summary form? 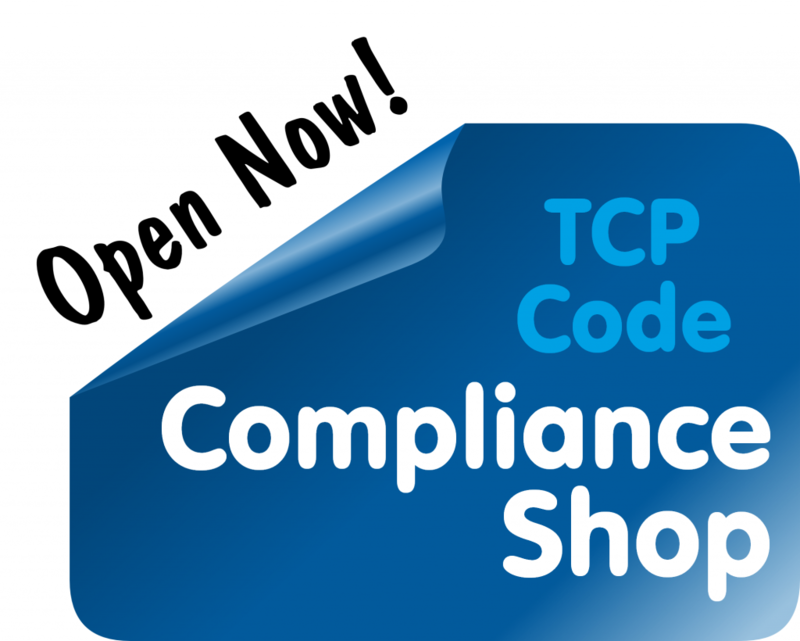 Well, there’s a TCP Code breach and ACMA has its full range of enforcement options available. But at the moment, it seems to be asking the telco to comply within a couple of weeks. The Authority also seems to be taking the opportunity to conduct a ‘mini audit’ on the telco’s complaint handling process, records and outcomes. Step one is to identify potential problem telcos (by reference to the required complaint handling document) and that leads to step two, a series of questions designed to probe other aspects of the telco’s complaint handling compliance. So what should telcos be doing asap? You can’t fully comply with the TCP Code by posting documents on your website. But it’s foolish not to have the right documents online. 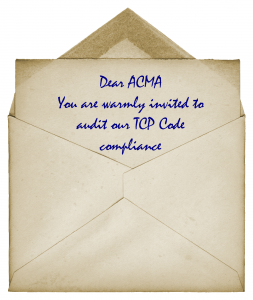 You’re inviting a “please comply / please explain” letter from ACMA. Be clear that the chances of a pre-TCP Code Complaint Handling Policy being compliant are zero, for practical purposes. The Code introduces new and specific requirements that even the best pre-Code policy would not have complied with. Every complaints document needs review to achieve TCP Code compliance. Many will need a complete re-write. This entry was posted in Code Enforcement, Complaint Handling and tagged ACMA, complaint handling, policy, process. Bookmark the permalink.